Thanks to generous donations of data from ABRP users driving around logged in with MyTesla, there is plenty of statistics to learn from. 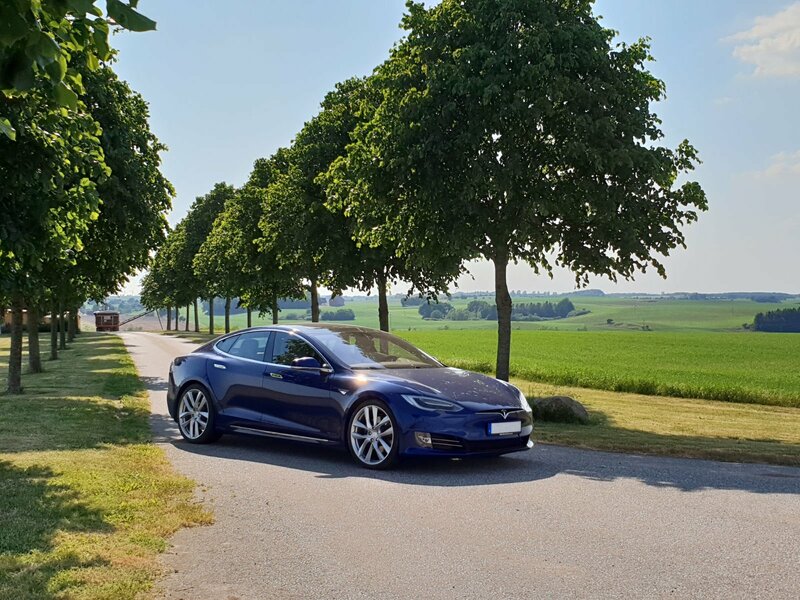 As of this post, there are about 2.6 Million data points logged from 487 Tesla Model S vehicles while driving 350 000 km (217 000 miles) in the ABRP database. Blue points are data points, corrected for elevation change, excluding vehicles in very steep ascents or descents (as regen will only work up to a certain power). 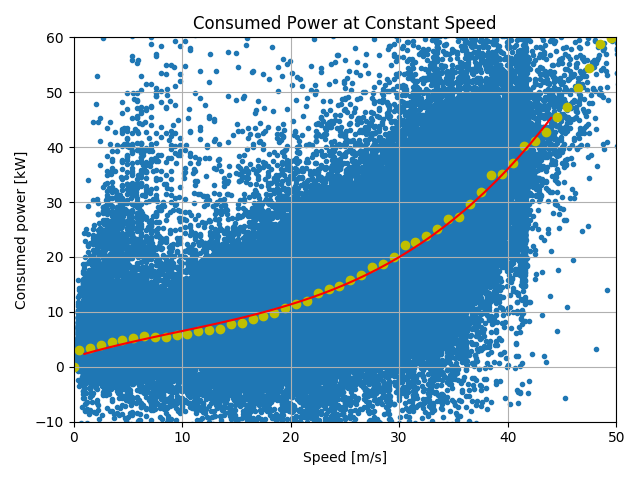 Yellow points are the power consumption median of the blue point cloud for every speed (to wash out outliers) and red is a fitted fourth order power-vs-speed polynomial. From the chart we can see that at 30 m/s (approx. 110 km/h or 65 mph) and at a flat road, the median Model S consumes about 20 kW. That is quite a lot of power – more than my house can consume – and still so much better than any ICE with their lousy efficiency. That is clearly lower than the default reference consumption in ABRP! But better be conservative than running out of juice.  Note that this is for vehicles all over the world in all kind of temperatures and weather. We will revisit this data with respect to other temperatures soon.